Australia hosts many species of possums, which in general are cat-sized arboreal marsupials. 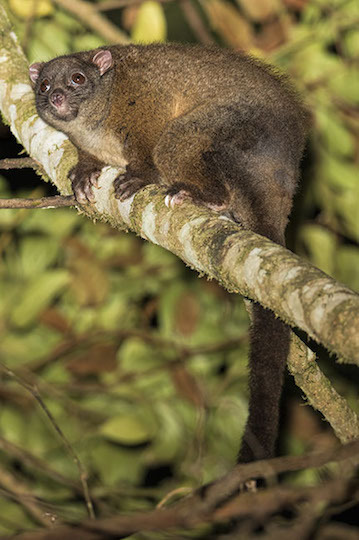 Lemuroid possums are found in the rainforests of northeastern Australia. 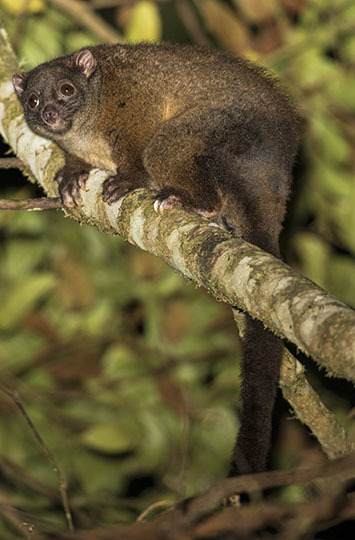 Other local possum species include striped possums, Daintree ringtails, and coppery brushtails. This one was in the forest a Mt. Hypipamee in far north Queensland.